"It's eighty percent script and twenty percent you get great actors. There's nothing else to it." A pillar of the American film industry, William Wyler directed some of the best loved movies of his time. Known for his sensitive direction of great actors, he worked with some of the best, including John Barrymore, Bette Davis, Humphry Bogart, and Myrna Loy. Today he is considered both a master director and a substantial influence on American culture. Born to Jewish parents in Germany in 1902, Wyler became interested in American culture at an early age. His cousin, Carl Laemmle, was the head of Universal Pictures, and in 1920 brought Wyler to America. Before long he was living in Hollywood and working on films. Within five years he was an assistant director, concentrating much of his energy on short Westerns. By the early 1930s, Wyler had begun to direct features, and with COUNSELOR-AT-LAW (1933) he received his first taste of success. Centered around a New York lawyer, the film distinguished itself through subtle and moving cinematography. He followed it two years later with two films, a comedy written by Preston Sturges called THE GOOD FAIRY, and THE GAY DECEPTION (1935). By 1936, Wyler had teamed up with Samuel Goldwin to make the film, THESE THREE. This film would mark the beginning of an often difficult yet incredibly successful collaboration between the two men. The following year they made DODSWORTH, a film that dealt with a decaying marriage, and in 1937 DEAD END, about life in the slums. Throughout the mid and late 1930s Wyler was consistently experimenting with the technologies of filmmaking while maintaining great concern for the integrity of the actors’ performances. Working with Bette Davis throughout the early 1940s, Wyler created such classic films as THE LETTER(1940) and THE LITTLE FOXES (1941). Both intense and serious dramas, they expressed a sense of emotional and dramatic depth unlike many films that had come before. Wyler’s technical precision, his ability to display the meaningful angle of a profound moment, gave each actor a depth that allowed them to create more realistic characters. During the mid-1940s, Wyler was in the Army, where he made a number of documentaries. Before leaving for the service he had had his most popular film, MRS. MINIVER, and upon returning he made what is considered his best, THE BEST YEARS OF OUR LIVES (1946). Both about wartime, MRS. MINIVER dealt with the lives of the British during the war, while THE BEST YEARS OF OUR LIVES hit home with a serious look at the lives of three veterans returning home from the war. For Wyler, the 1950s were a time of great achievement. With ROMAN HOLIDAY (1953), he not only directed a significant and popular film, he first presented Audrey Hepburn to an American audience. With major releases such as THE DESPERATE HOURS (1955) and THE BIG COUNTRY (1958), he set the scene for his unprecedented success with a re-make of BEN-HUR (1959). Like most of his work, BEN-HUR was more than an entertaining and visually engaging film — it was deeply crafted on every level, from the writing to the acting to the very smallest parts of the set. It won eleven Oscars and remains a classic today. Throughout the 1960s Wyler continued to make films including THE COLLECTOR (1965) and FUNNY GIRL (1968) starring Barbara Streisand in her film debut. Already in his late sixties, Wyler directed THE LIBERATION OF L.B. JONES (1970) about racism in a southern town. Soon after, he retired, and in 1981 he passed away. 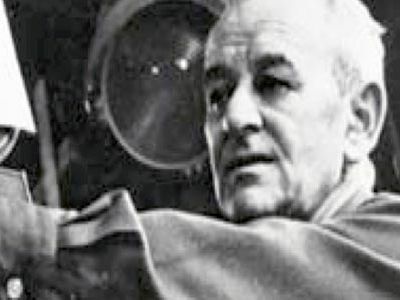 Acknowledged by the Academy Awards and filmmakers everywhere for his lifetime commitment to the highest quality filmmaking, William Wyler stands out as a major source in history of the American dramatic cinema.